Meet new friends and learn golf skills for a lifetime! Membership benefits include access to monthly/ bi-monthly special events, great LPGA Membership kit, opportunities to build friendships and sample golf competition in a fun non-threatening learning environment. Girls Only Lessons, LPGA Girls Only Camp, special events, community service, golf fitness, nutrition and on-course play are all part of the FUN experience! We have something for every skill level. We are excited to announce that the LPGA Girls Golf Membership is FREE again this year! Girls must be current 2018 LPGA~USGA Girls Golf Club National Members to participate in LPGA Girls Events, Lessons and Camps. Membership includes LPGA logo gifts! * Empower * Enrich * Engage *Exercise * Energize our girls through the game of golf. We are passionate about creating fun learning environments geared especially for girls. Our Special events are designed to foster friendship, learning new golf skills and developing social skills for life! As part of our Amaizing Youth Golf Development Program we’ve designed special Training Sessions just for GIRLS! Research shows that girls learn better with other girls in group settings. 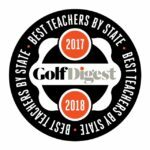 This super fun program is designed for more in-depth instruction & provides an opportunity to play on the course which makes it different than our themed LPGA Special Events. Golf lessons & Special Events are the perfect compliment to each other! tournament day with lunch & awards…plus tons of FUN! LPGA Girls Only Pee Wee training session is a dynamic fun-filled sessions that is designed to introduce your youngster to golf in such a way to hook her on golf for a lifetime! We will build on motor skill development, play fun games and introduce golf terms. We will cover putting, chipping and full swing concepts. Pee Wees are required to bring an adult Trainer to train along side them~ we will show you how to best support and encourage your young golfer while keeping you both safe and having fun! Please indicate if your child needs clubs and if so, do you they need left or right handed clubs? Also please indicate how tall they are in inches! We will be using a combination of SNAG (Starting New At Golf) equipment and regular golf equipment (US Kids). LPGA Girls Only Camps will *Engage *Enrich *Energize *Empower *Exercise our GIRLS! This is a special opportunity just for girls to work on the fundamentals of putting & green reading, chipping, pitching and full swing together during four consecutive days of instruction. The girls will have 8 hours of instruction during this popular camp which will include TPI golf fitness drills & games, nutrition and rules education. This camp is geared towards new to intermediate juniors ages 7-15. Camp will be broken into smaller groups to accommodate age and skill differences. We will train to learn and then work on training to compete by introducing fun games. In Girls Golf we always include life skill development, social time and sweet treats! FUN is always guaranteed. Space is limited! We are always looking for volunteers to help with our events. If you or someone you know has a passion for golf and would like to be a role model/mentor to young girls, please contact Sheryl for more information. You do not need to be a great golfer or teacher~ your time is a valuable gift to the girls! We have saved the BEST for last as always… our 2 favorite LPGA Girls Golf events are scheduled and will happen Rain, Snow or Shine! We have made both of our final events “Bring a Friend Day” events… meaning they are perfect opportunities for our LPGA Girls to invite their friends who are new to golf or who are not LPGA Girls Golf Club members…yet! Cost will be only $5 for new Friends! You must REGISTER for each event as we need to buy lots of supplies and treats/food for both events. This is one of our favorite LPGA Girls Golf Events and your girls won’t want to miss it! Girls are encouraged to bring their putters. We will have golf balls & extra putters. We will have sweet treats (including Sheryl’s famous chocolate chip meringue cookies! ), a pumpkin decorating contest with pumpkins to take home, best costume contest~ golf related is always a winner & we will have extra costume props! We will have fun prizes, tons of fun & lots of giggles while creating sweet LPGA Girls Golf memories! Members of the Concordia Women’s Golf Team and a former U of MN Gopher Women’s Golf Coach will be on hand to share about college golf & share fun putting games & drills. There will be activities for older and younger girls~ all skill levels are welcome! No prior golf experience is needed. Girls will be grouped by age and with friends. 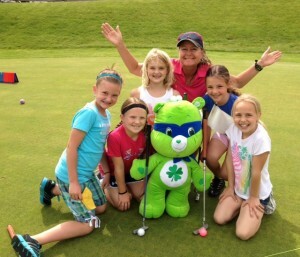 Why: To Energize girls through FUN & creative golf activities, to Empower them with new golf skills and to Enrich their lives with new friendships, meeting college golfers & a former U of MN women’s Gopher Golf Coach! With Snow in the forecast we will most likely meet inside the clubhouse. Payment is Cash or Check payable to Sheryl Maize on day of event. LPGA Girls are encouraged to bring a Friend to this special event~ It is a great opportunity for girls to invite their friends to see just how much FUN golf can be! LPGA Girls Golf Members are encouraged to bring their LPGA purple hat to wear for a picture! Also, it is not too late to sign up for the 2018 LPGA Girls Golf membership~ Oct. 31 is the cut off date for the November LPGA Girls Golf kit shipment. It’s finally here ~ The most anticipated & meaningful LPGA Girls Golf Event of the Season! Girls will also do a fun series of Winter Golf Workouts with the Concordia Golden Bears Women’s Golf Team! It is truly one of our most cherished times together as an LPGA Girls Golf Club! Why: To Enrich girls lives by providing an opportunity for our girls to give to others in need, to Exercise our girls through fun golf winter workouts, to Engage our girls in meeting new friends, mentors & role models. No prior golf experience needed! Girls will be put in groups with their friends & according to age! 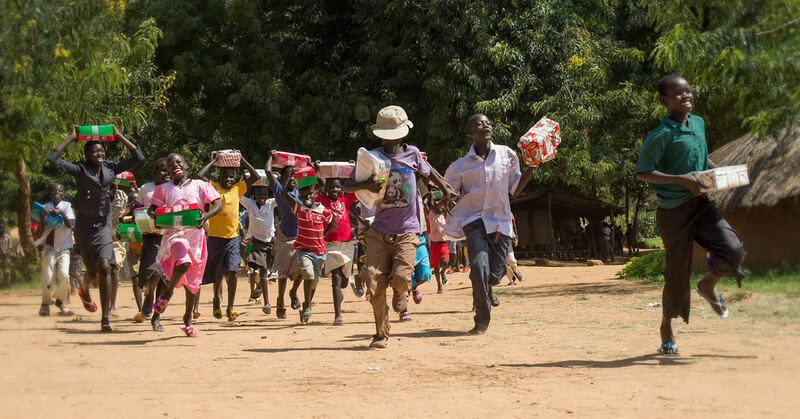 Last year we shipped over 50 boxes that ended up in Africa! Don’t forget to have your girls invite friends who may be new to golf~ this is a great introductory event! All girls are encouraged to wear fun Christmas colors, Santa hats, reindeer ears, etc. We will be doing some winter workouts, eating sweet & healthy treats and having a ton of FUN creating LPGA Girls Golf memories! 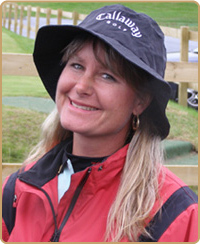 LPGA members are encouraged to bring their Purple LPGA Girls Golf hat for a picture! Includes: 5 hours of continuing instruction, US Kids games, TPI fitness drills, range balls, prizes, snacks…plus tons of FUN! *Group will be broken into 2 smaller groups based on age and skill level. Additional session will be added if needed!